Brian has his Masters Degree in Kinesiology, Bachelors Degree in Exercise Physiology and a Minor in Coaching from the University of Northern Colorado. 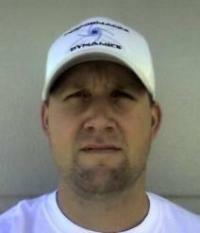 2003 - Present Owner / Director of 5 Tool Baseball Consulting (formerly known as) Warrior Strength. 2000 - 2003 - Strength and Conditioning Coach for Arizona Diamondbacks. Brian has worked as a Strength and Conditioning specialist at every level of competition in baseball. His applied professional and college level experience and industry knowledge with benefit all high school players of Worldwide Baseball Prospects as they will have the option to have a custom built strength program designed for them at no extra cost.